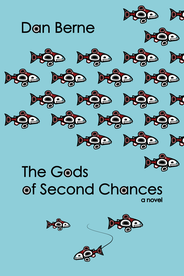 The Gods of Second Chances - Launches Mar 1! This my wonderful editor and publisher Laura Stanfill, founder of Forest Avenue Press. She's a dynamo! Here she's in the infamous "red chair" at Portland's Wordstock Festival. Her mission: Publish quiet novels for a busy world!